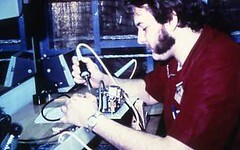 Here’s someone from engineering who’s achieved truly stupendous sideburns. Have a great weekend! This entry was posted in Facial Hair Friday. Bookmark the permalink.